With this present of Lively Bunch of Amazing Flowers, transmit, in a comely maneuver your heart-felt feelings to an individual you view in a distinctive hue. 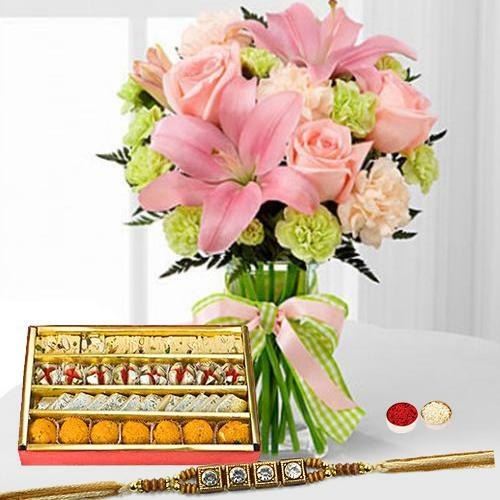 This Bunch exhibits mind-bracing Flowers like Pink Roses (3), White Carnations (3), Pink Lilies (2) and is further adorned with petite Filler Flowers with 250 Assorted Sweets with One pc. Rakhi.